In flash fiction I look for a sense of a larger world, whether it’s a character’s history or a hint at their rich inner life, perhaps even secrets they’re keeping from others, all conveyed through subtlety of language. I love dialogue, when it’s used well. I love humour, particularly if it’s a little bittersweet. Most of all I love characters who are rounded and real, complicated and fleshed-out, and I love to know what the stakes are: what difference will the events in the story make to the character’s life? What have they got to lose? Of course good flash needs proper resolution, but this can be interpreted widely. Show me why I should care about your characters, and how their lives will be altered once the dust of your story settles. Sinéad has been many things (including, but not limited to: a butcher’s assistant, a travel advisor, a writing instructor, a tutor of medieval English language and literature, a bookseller and a freelance proofreader), but in tandem with all of these she has always been a reader and a writer. She wrote her first book – a sequel to ‘The Little Prince’, complete with illustrations by the author – at age seven, and has cultivated a love of literature for children ever since. She lives in Ireland with her husband and their book collection, which numbers in the thousands, and has just finished editing a middle-grade adventure novel. She is currently working on her next book. 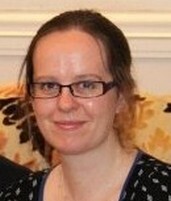 She is represented by Polly Nolan of the Greenhouse Literary Agency and blogs regularly at http://sjohart.wordpress.com. Catch her on Twitter @SJOHart.